This morning Colin Fiske and I spoke with Oona Smith, Senior Planner at HCAOG about her regular commute between Arcata and Eureka. She bikes from her home in Arcata and then takes advantage of the bike lockers Humboldt Transit in Arcata, hops on the bus to Eureka and walks to bocks to HCAOG. 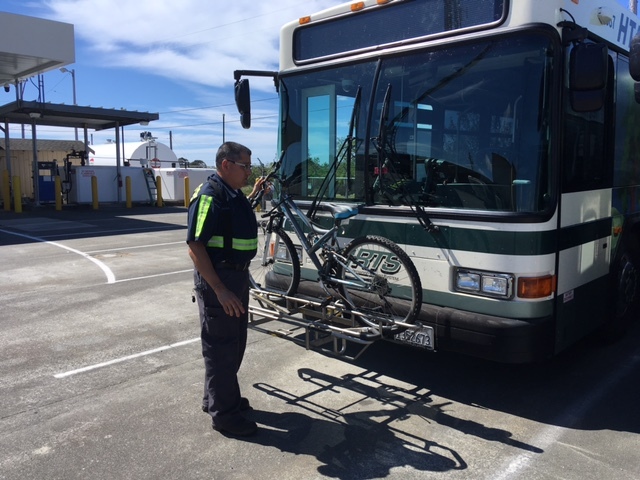 However, for those of you who want to take your bikes with you, the busses are equipped with bike racks for bike/bus communing over longer distances.